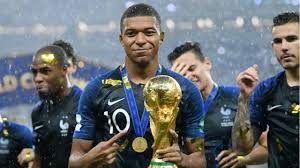 Mbappe Crowned French Player Of The Year – Royal Times of Nigeria. Kylian Mbappe has been crowned French player of the year for 2018 by France Football ahead of Raphael Varane and Antoine Griezmann. The twenty-year-old was recognised by France Football, who also award the Ballon d’Or, after a successful 12 months with club and country, winning a domestic treble with Paris Saint-Germain and the World Cup with France. The forward has also excelled individually in 2018, scoring 30 goals for club and country, as he won the inaugural Kopa Trophy – awarded to the best U21 player in world football – and ranking fourth in the Ballon d’Or list. 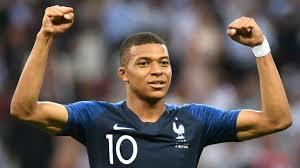 Mbappe also played a pivotal role in France’s World Cup-winning campaign in Russia, scoring four times, including a goal in the 4-2 final win over Croatia. Chelsea midfielder N’Golo Kante is now forced to relinquish his title after being awarded the prize for 2017.